Any comic book fan who knows Cloak & Dagger knows that the magic of the superhero duo is the relationship between the two teens, Ty and Tandy. Their complimentary powers and intense romance is the driving force behind their story, so the casting of the leads was the most important element to get right. 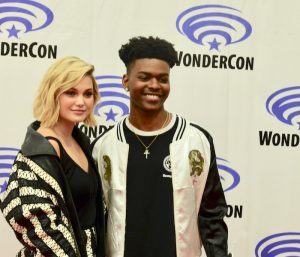 In Olivia Holt and Aubrey Joseph, Freeform has found two actors whose chemistry is undeniable and after talking to these young adults at WonderCon, it was easy to see that their connection will resonate with Cloak & Dagger fans of all ages.